As the world craves more efficiency and cost-savings from their automobiles, Honda answers that call with their Clarity Hybrid, a unique blend of convenience and efficacy. The 2018 Honda Clarity Plug-in Hybrid compact sedan combines the best attributes of Honda’s vehicle line – comfort, style, technology, and utility – with maximized efficiency and engineering for today’s frugal drivers. Rock Honda in Fontana, CA is now offering the new Clarity Plug-in Hybrid, available today for test drives and more. 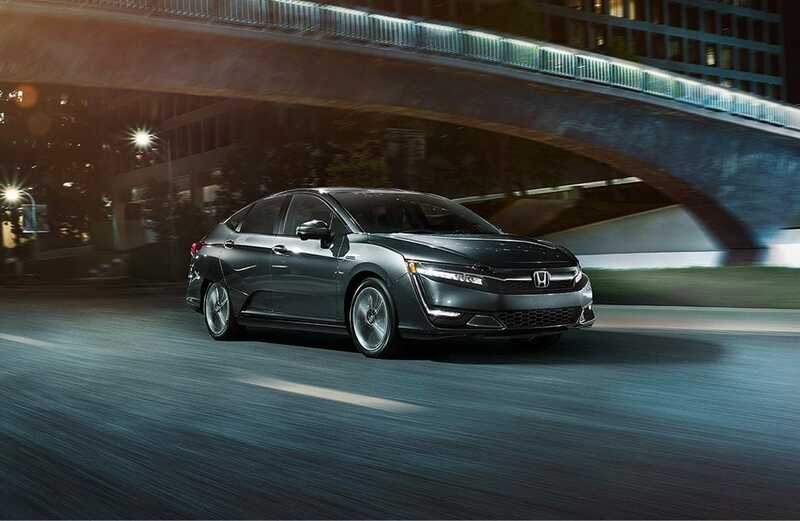 Serving all of the San Bernardino County area, including San Bernardino, Rancho Cucamonga, and the Inland Empire, let Rock Honda help you find that perfect vehicle for your needs, like the new 2018 Honda Clarity Plug-in Hybrid compact sedan. Come see us soon! A wide selection of custom features and options can be found in the new 2018 Honda Clarity Plug-in Hybrid compact sedan. 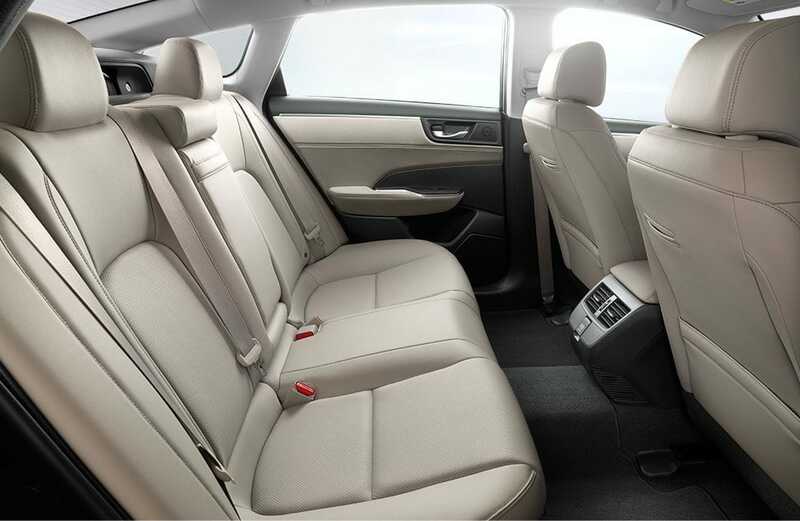 Interior features like dual-zone automatic climate control system, heated front seats, 8-inch display audio with high-resolution WVGA (800×480) electrostatic touch-screen and customizable feature settings, and Forward Collision Warning (FCW) (a Honda Sensing® feature) are all standard in the new Clarity Plug-in Hybrid. 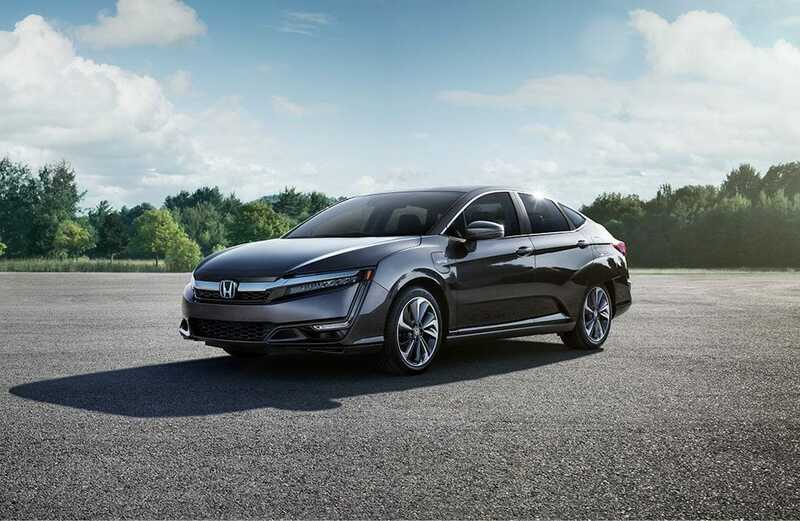 Outside, available features such as LED headlights with auto-on/off (low & high beam), smart entry with walk away Auto Lock®, body-colored power side mirrors, and Lane Keeping Assist System (LKAS) (a Honda Sensing® feature) demonstrate the safety and utility in the new 2018 Honda Clarity Plug-In Hybrid compact sedan. Come check one out today! Maximized efficiency doesn’t mean you have to sacrifice power, and the new 2018 Honda Clarity Plug-in Hybrid compact sedan proves this. Powered by Honda’s 1.5L 4-Cyl. Hybrid System w/ E-CVT, output in the Clarity Plug-in Hybrid is 103 horsepower and 99 lb.-ft. of torque! Coupled with the savings you get from this proficient hybrid, and the new Clarity Plug-in Hybrid is an all-around winner. Come on down to Rock Honda in Fontana, CA and check out the new 2018 Honda Clarity Plug-in Hybrid compact sedan today!